Can I carry my baby if I have epilepsy? This summary comes from a friend of mine who was open about her choice to use a sling to keep her child close despite her diagnosis of epilepsy. It has worked out very well for her. Here she discusses the processes of managing parenthood with the risks of fitting, and how a sling proved to be a transformative experience. I can’t thank her enough for her time creating this resource. I hope it provides reassurance and encouragement to many. 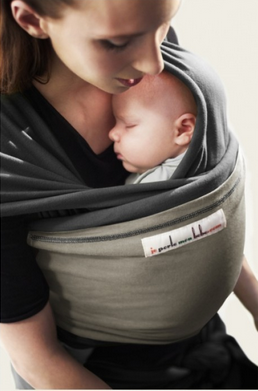 For me, the answer to the question if I can use a sling with my baby is a resounding yes! Following the birth of my second son in 2012, using a sling or a carrier was something that became an integral part of family life for us, despite my having epilepsy. My first son was born in 2006, some two and a half years before I had my first seizure in 2008 and so I feel as though I can compare the experiences of having a baby in circumstances both where I did and didn’t have epilepsy. For me, the fundamental difference is a sense that you are living with risk that is always there, all other lifestyle changes stem from that reality. Of course there is risk in everyone’s lives, but with epilepsy you are forced to engage with and confront that risk in an active and unrelenting way. That sense of omnipresent risk started even before I was pregnant if I’m honest. All these questions for the consultant. What would be the impact of exposing the baby to my medication both in utero and through breastmilk? Was I on the least risky medication? How long should I take folic acid for prior to conceiving and what sort of dose? I received such supportive and reassuring care from the consultant and the specialist nurses that I was confident we had done all we could to maximise our chances of a smooth pregnancy and a healthy baby at the end. This was really the start of how I started to view ‘risk’ in terms of my epilepsy; get as much information as possible, speak to those qualified to give information and then make decisions based on the application of that information to my own personal and family circumstances. I was slowly learning that this striving for individual autonomy was, in itself, was an empowering process. But then the little man arrived and all these concerns were suddenly at the forefront of my mind; how would I get him up and downstairs safely? How could I ensure I would get adequate rest and not put myself at risk of additional seizures? What would I do when my other half went back to work in four weeks’ time? What would I do if I was pushing the pram and had a seizure and the baby rolled off into the road? These are questions with less concrete answers. Research providing ‘good’ evidence (whatever that looks like!) doesn’t exist and my suspicion is that, as it was for us, you just have to find the best answer for you through your experiences, talking to people, what feels right and trying out lots of options. I’ll give you an example of how these muddied waters of ‘the best thing to do’ worked for us in practice. When it was suggested by the specialist nurses that I use either a baby carrier or a car seat to carry the baby up and down stairs in case I should experience a seizure I thought both sounded like a recipe for disaster. That said, they were both recommended as possible coping strategies in the advice from Epilepsy Action UK as well as by the nurses and when I really started to think about it, they both presented an alternative to dropping the baby on the stairs if he were in my arms alone. My thinking developed to conclude that although a car seat would provide a hard protective shell in the event of dropping, it wouldn’t be secured down as it would in a car, it could bounce and twist and turn and wasn’t designed to sustain repeated impacts if it did. 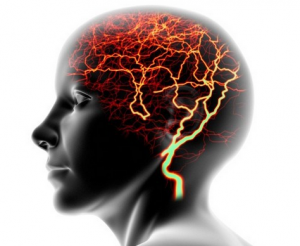 I also know that my seizures tend to involve an initial fall and then a period of rigidity and shaking. There is little movement from the initial place I fall and I tend to regain consciousness within a few minutes. 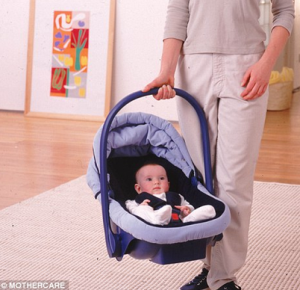 As such, a baby in a carrier would be likely to fall only as far as I did, would be secured by the carrier itself and, even if I fell directly on the baby, I would be unlikely to have my weight resting on the baby for a prolonged period of time. Not ideal, but one way of managing a risk that wasn’t going to go away and, for me, the preferred way of managing that risk in view of all the alternatives. It was time to get a carrier. I initially sought advice from a local group that socialised online and arranged regular meets face to face. At the time the community felt intimate and like a small group of like-minded people, many of whom I would become great friends with. I received some really carefully considered advice and decided to go with a stretchy wrap which would hold baby close and secure but also allow others to get baby out relatively easily should the need arise. Once it got here and I tried it out I was hooked. I used it daily. The sling had initially been intended as a means of getting baby up and down stairs, but it rapidly became the place where he spent the majority of my waking hours. He was so settled there, so content and I started to reclaim some of the confidence in my ability to be the mother I wanted to be, that confidence I had lost when all these anxieties regarding the negative impact of my epilepsy on my capacity to parent had first surfaced. The whole experience was transformative. I stopped using the pram for much of the same reasons I had chosen a carrier in preference to a car seat for stair journeys. I made sure I went on longer outside walks with others and I always let people know where we were and when to expect us back which perhaps wouldn’t occur to others without epilepsy, but I really genuinely felt so empowered and in control. Baby was happy, I was happy, my other half was reassured by my rekindled confidence and I feel I could attribute that to the sling. Then I started going to ‘sling meets’. My first was in the Autumn of 2012 and I first met Rosie. She helped me with my first woven wrap, showing me the front wrap cross carry and how it differed from the style of carrying utilised by the stretchy. Baby was four months then, had better head control and I felt happy to try new styles of carrier. The woven wrap opened up a further world of possibilities that we explored over the next year or so, as baby grew along with my own knowledge, with the support and friendship of others. We were able to get out and about and explore the local countryside with the slings, we loved the freedom we had. I’ve had mass produced carriers, woven wraps, wrap conversions, rainbow wraps, expensive wraps, cheap wraps, wool wraps, all sorts. None of the carriers have been as valuable as the confidence that they have given me and the closeness they have brought to our relationship. 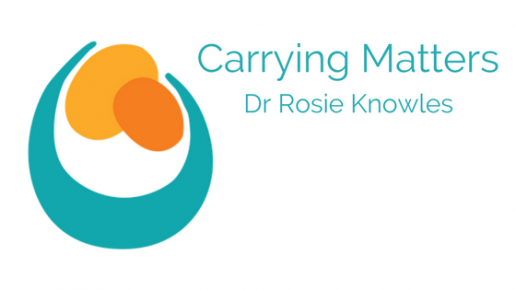 I have particular admiration for my local babywearing consultant’s dedication to sharing her knowledge with others and empowering such a huge number of mothers, fathers and wider family members to experience the same confidence and closeness with their little ones that I have. In fact, with our third child due next month, I am eagerly anticipating the start of my maternity leave and being able to have time to indulge in refreshing my knowledge with some expert help, brushing up on my rusty wrapping skills and finding out much more that I didn’t know before. I can’t wait. Overall then, there is no right answer when it comes to wrapping your baby when you have epilepsy, only what works for you. I would encourage anyone to engage with professionals to get the up to date information; both from a neurological perspective and in the broader sense. Only you know what will work in light of your condition and your family circumstances. I do hope that there is scope for babywearing professionals to help develop further advice through their work with families so that those ‘grey areas’ for which there is little concrete evidence at present can be filled in with a bit more clarity and those feeling of bewilderment that I first experienced can be minimised for all families. 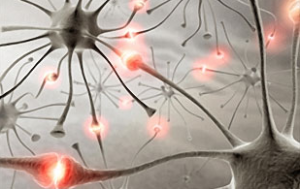 You can read the Epilepsy Society’s recommendations here.